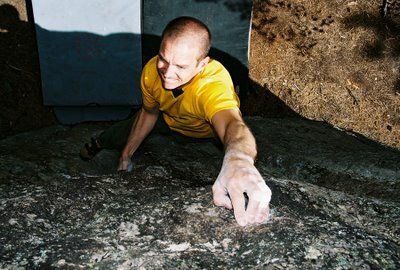 "I'm organizing a "summit meeting" of editors of international climbing magazines, journals, and websites. We've got 13 foreign editors, along with representatives of Alpinist, Climbing, and Rock & Ice..."
"Climbing website and magazine editors from all across the globe will be joining Jack as well as fellow UK climbing editors Steve Goodwin (Editor, Alpine Journal) and Lindsay Griffin (Editor Mountain Info/Climb, Assoc. Ed. American Alpine Journal and BMC Mountain News Editor) to discuss climbing media issues, to improve communication and cooperation among mountain publications worldwide, and to learn more about each other's climbing and media cultures." I think this summit is a great idea. The only issue I have with it is the way in which it exemplifies an increasingly obsolete mentality regarding the climbing media. That is, the way to discuss the topic of climbing and the media is to get together website and magazine editors who seem to assume they control how news and other aspects of climbing are disseminated. I am finding for example, that commercial considerations are outweighing larger questions these days, to the point that significant ascents are either omitted in one magazine (the other paying for an "exclusive"?) or limited to minimal coverage. Not only are magazines not useful for understanding what's actually going on but they are becoming more and more vehicles for selling products besides themselves, not just through advertising but also through content. The examples are too numerous to count. "Climbing news in the Internet age: What are our guidelines for publishing photos and text found on the Web (copyrights)? What about fact-checking information, publishing photos with route lines that haven't been climbed, and reporting illegal or unwelcome ascents? What do we think about “exclusivity” in first ascents, where media sponsors “lock up” information about an expedition until they have reported it first?" Who is "we" and what is "our" in this instance? It's a very different world from even 5 years ago. What constitutes news and its reception is very much changed from when I started seeing things online. Anyway this is an important topic of conversation. It would have been nice to see a lot more transparency and participation. Thanks Chip! BTW, I'm going to to try for a Flagstaff session this evening. Peter Id be psyched to try windowshopper with you sometime, i did the "stand start" not realizing it started lower a while back and would love to finish it up. when do you get out there? Thanks for responding and I look forward to seeing your summary. As I said, I think the summit was a great idea. Have a great time in Nepal (trying not to sound too jealous)! Jamie, I am trying the problem this evening, 5-ish, if you want to meet. You have my number if you want to call.